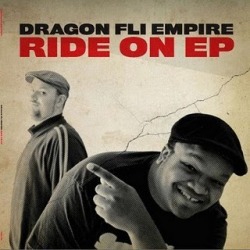 Dragon Fli Empire: Ride On EP 12"
The Ride On EP was released through Finland's Traveler Records in 2009. It's helped spread the good word on the DFE crew throughout Europe (Slovakia represent! ), and also to DJs worldwide.